Quttinirpaaq are an Austin, TX based noise/drone/space/sludge-psych combo led by Matt Turner, the band being named after a Canadian national park. Dead September is their third album, following two from 2013 (I heard the first one, No Visitors). This is an aggressive, varied and compelling set of art damaged Psychedelic mind-fuckery. Side 1 begins with Bleed Out, which is like a Helios Creed and Keiji Haino collaboration, spewing out blistering layers of Acid-Industrial Noise-Psych guitars and soaring washes of factory floor machinery, all against punky Chrome styled drumming. White Witch is slightly more subdued, adding a dancey Industrial groove to the sonic assault. Teen Cop maintains an elusive rhythmic pulse that anchors the cacophonous Psychedelic pandemonium. The guitars are densely layered but not so much that you can’t make out the sound of each of the thousands of molten lava needles and various effects that are hurtling through Quttinirpaaq’s brand of boisterous tripped out space. Dead Birds is a little different, being a Punk-Psych Rock ‘n’ Roll jam with spaced out effects, ocean wave synth washes, and the weirdly efx’d vocals that permeate most of the songs. As the music develops the noise-soundscapes and freaky effects increasingly come to the forefront until an abrupt cut out for the finale. Side 2 kicks off with the 11 minute Lifestyles USSR. A low key repetitive ambient-fuzzed electronic rhythmic pattern serves as the foundation for this soundscapes and effects space exploration, which incorporates elements of Industrial machine shop grind and Alien Soundtracks era Chrome meets Hawkwind Space Ritual effects fun. LOTS happening on this boisterous yet creatively concocted Space-Psych cauldron of sound. Spine Tree follows a similar path, being a howling Noise-Psych guitars and effects soundtrack to an active volcano eruption, set to a robotic dance Industrial beat. Finally, Walk Into The Sea is a simmering stew of Boris-like stoner sludge, ear piercing guitars and deep space effects. 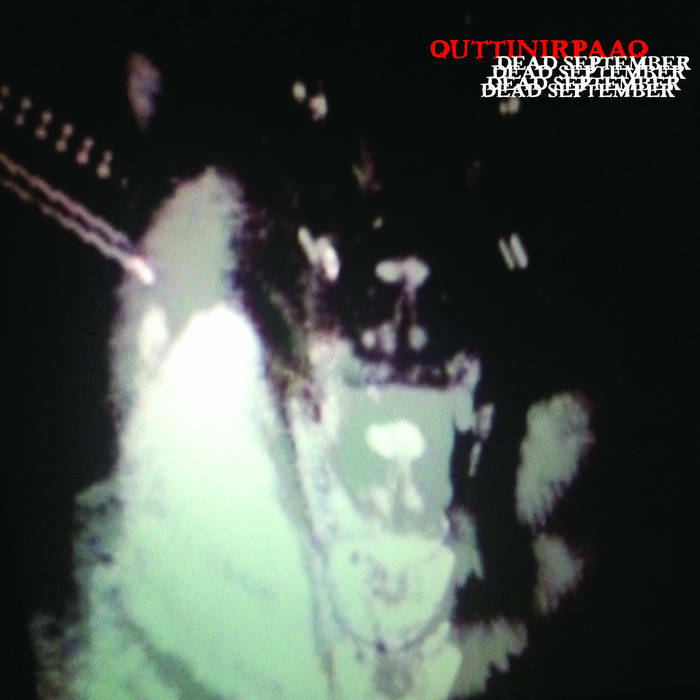 If you like Chrome/Helios Creed, Keiji Haino, Throbbing Gristle, Les Rallizes Denudes, and the thought of them all being tossed together for some free-wheeling fun, then Quttinirpaaq are for you. Recommended to those who like to live on the Psychedelic edge.